Three years already? Happy birthday, Hellbender! 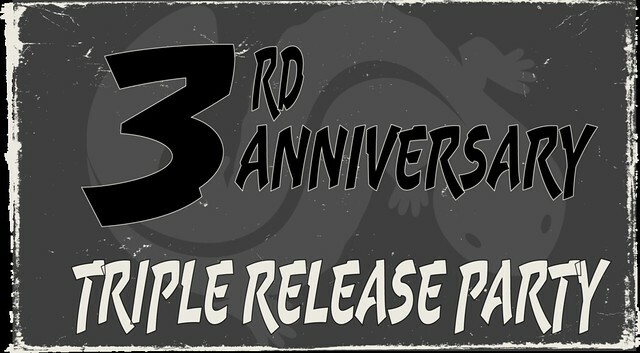 For their three year anniversary, Hellbender is hosting a little to do at their brewery from 12pm to 7pm, to get you out and drinking three new beers. There will also be food for purchase from Timber Pizza and Vic’s Homegrown (desserts). Grampus Smoked Nut Brown Ale (6.2% ABV, 28 IBU) – returning for a limited run. Brett? Present Wild Brett Ale w/Raspberries (this version not yet on Untappd) – they expect this one to go fast! Tickets are $10 (includes a commemorative glass and a pint!). 12-7pm.